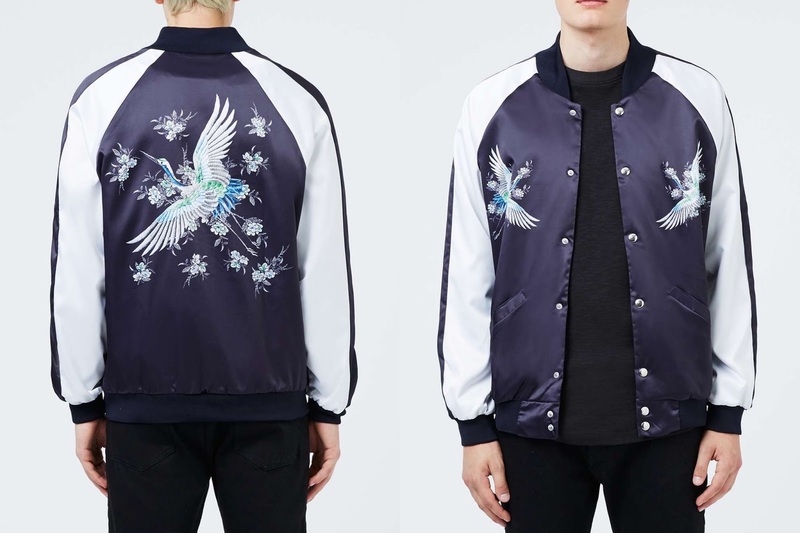 One of the top trends hitting the high streets and designer boutiques at the moment, is the Souvenir Jacket. 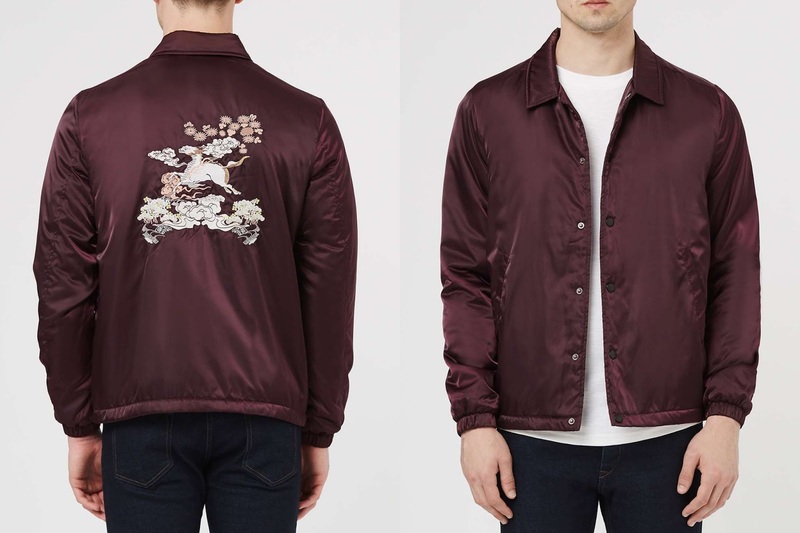 Shooting to popularity during the Second World War, American soldiers would have traditional Japanese patterns hand stitched into their jackets to commemorate their time fighting in the far east. On their return home these jackets would be passed to their loved ones as a souvenir - hence the name. 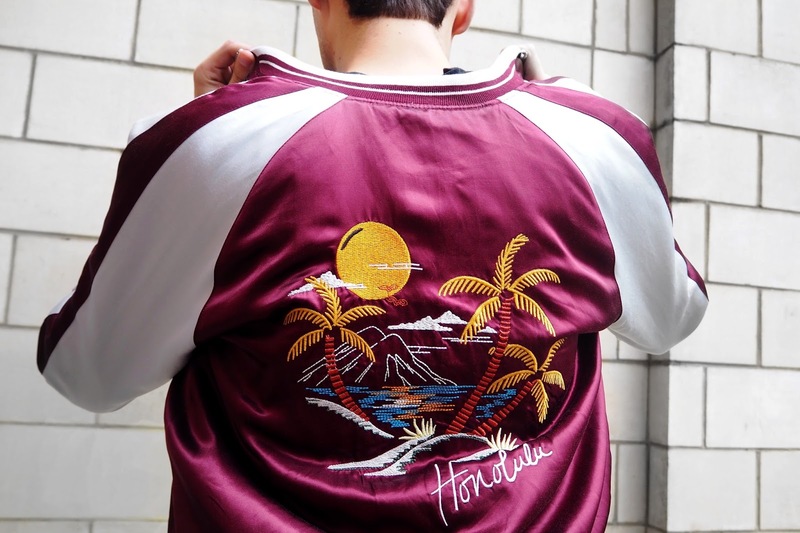 With designers such as Gucci and Saint Laurent showcasing these as part of their collections, the souvenir jacket has become one of this seasons top trends with a wide choice of colours and patterns available. 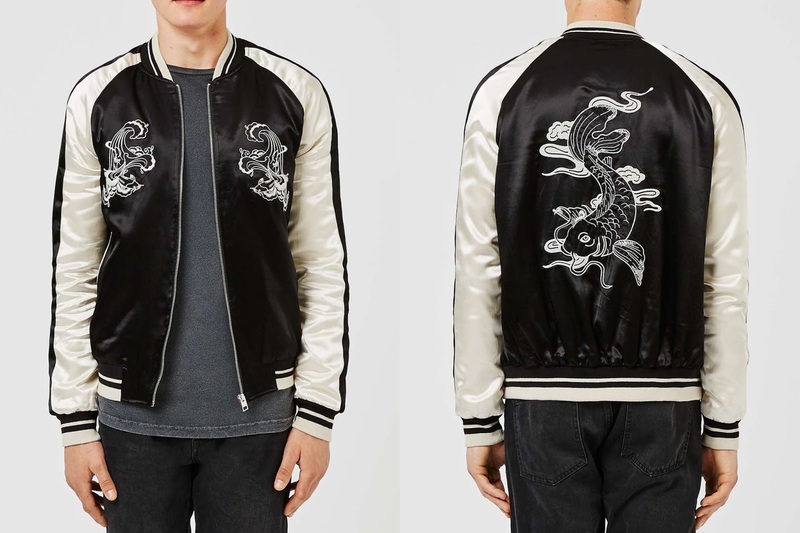 Traditionally made of silk or parachute material, the souvenir jacket mixed the classic American varsity cut, with symbols of Japanese culture and heritage - making it a trend amongst the rebellious youthful generations. 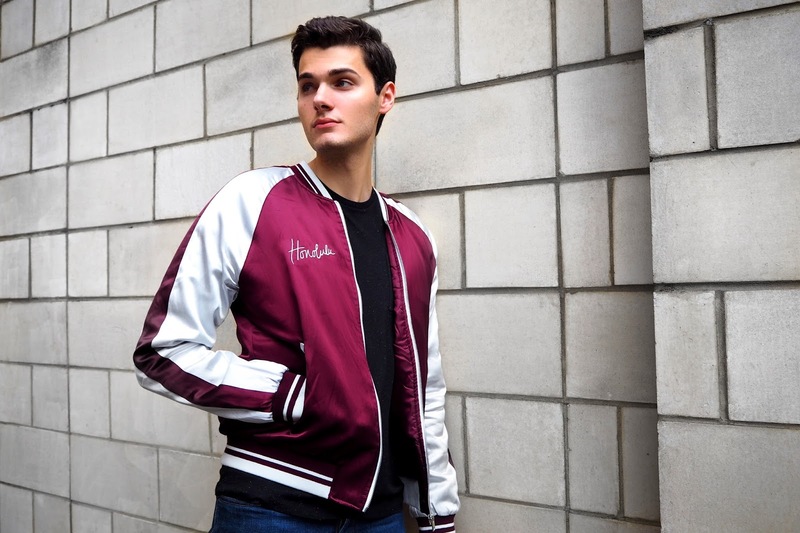 I love how much style these jackets add to an outfit. The high contrast in colour and pattern add an instant point of interest and give off an effortless style and edge. I can see myself wearing this one for a long time to come since it's so easy to throw on and partner up. 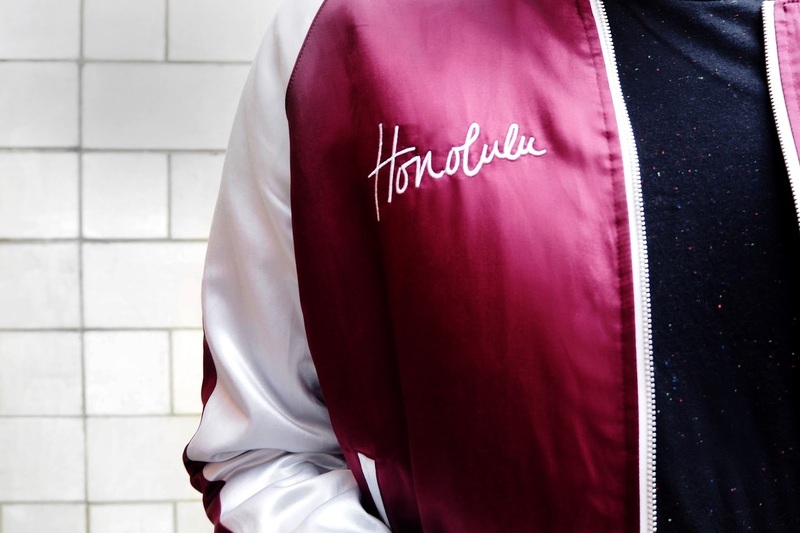 With ongoing appearances in pop culture and cinema, the souvenir jacket is constantly popping up over social media and inspiring the mix of cultural fashion and history. 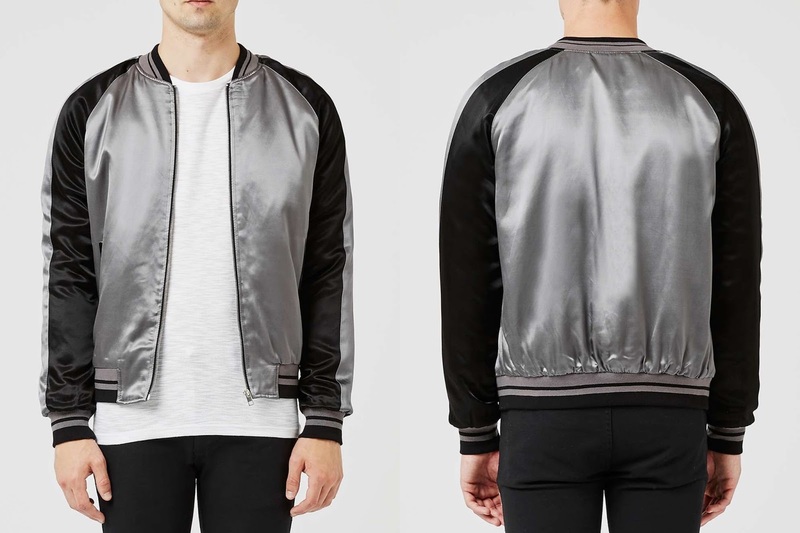 This one was sent by Topman - but is now only available in store, so I've popped a few others below for you to try out. 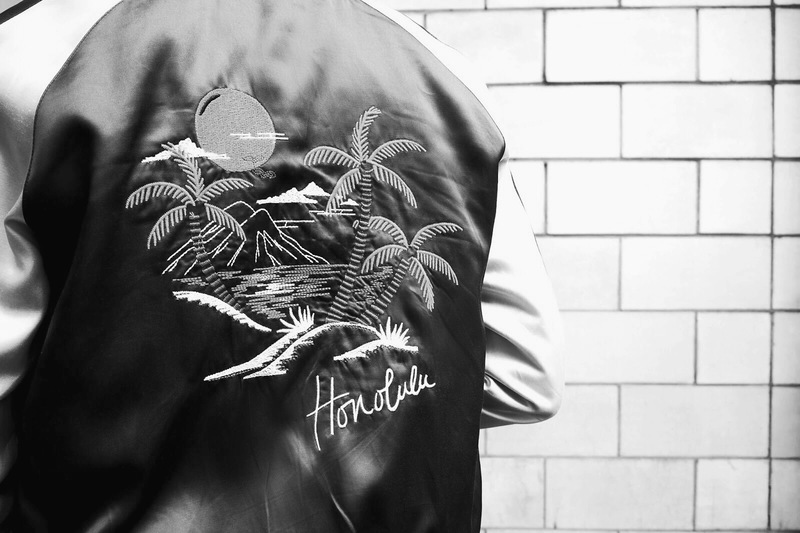 You can view the whole Topman Souvenir Jacket collection here.